Clinician-scientist, peer educator, professional leader. Kate has been in continuous clinical practice since graduating from Queensland University of Technology (QUT), Brisbane, Australia in 2003 with First Class Honours and a University Medal. An owner-operator of independent practice Gerry & Johnson Optometrists since 2007, Kate is an internationally recognised clinical leader and peer educator, having provided over 100 conference lectures in Australia and overseas. 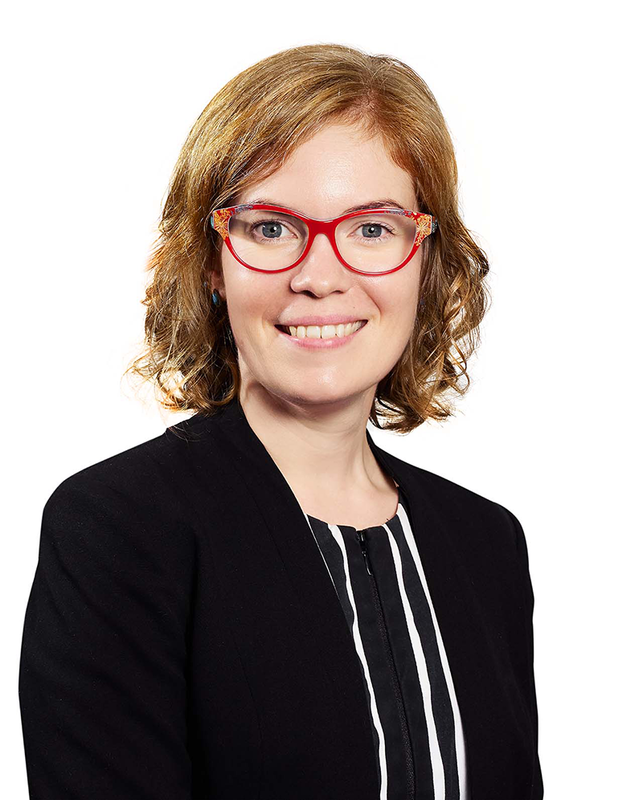 Kate was the youngest person and only the second woman to lead Australia’s peak professional organisation, Optometry Australia, from 2014-16 and has 14 years of governance experience as a Board Director and Chair at both State and National levels. In 2017 Kate was awarded the British Contact Lens Association President’s Award for Excellence and was named the QUT Outstanding Young Alumnus of the Year. She completed her PhD at QUT in 2018, examining binocular vision and contact lens optics in orthokeratology; receiving four research scholarships for this work. Kate has achieved four professional fellowships and holds over 40 peer reviewed and professional publications. Gifford P, Gifford KL, Hendicott PL, Schmid KL. The interaction of vergence and tonic accommodation in pediatric myopic contact lens wear. Invest Ophthalmol Vis Sci 2018;59:ARVO E-Abstract 2920550. Gifford KL, Gifford P, Hendicott PL, Schmid KL. Accommodation and peripheral optics in single vision vs orthokeratology contact lenses for myopia. International Society of Contact Lens Research 19th Scientific Meeting 2017: Washington, USA. Gifford KL, Gifford P, Hendicott PL, Schmid KL. Clinical binocular vision function in orthokeratology contact lenses for myopia. The 16th International Myopia Conference 2017: Birmingham, UK. Schmid KL, Gifford KL, Gifford P, Hendicott PL. Impact of orthokeratology on accommodation responses in myopic children and young adults. The 16th International Myopia Conference 2017: Birmingham, UK. Gifford P, Gifford KL, Hendicott PL, Schmid KL. Relative peripheral refraction and binocular vision changes in myopic orthokeratology. Invest Ophthalmol Vis Sci 2017;58:ARVO E-Abstract 2690855. Gifford KL, Gifford P, Hendicott PL, Schmid KL. Binocular vision in orthokeratology contact lens wear for myopia. Invest Ophthalmol Vis Sci 2017;58:ARVO E-Abstract 2683878. Johnson KL. Clinical indications of safety and myopic refractive stability in long term paediatric overnight orthokeratology, AAO Poster Presentation, Boston 2011, USA. Johnson KL. Clinical safety and myopic refractive stability in long term paediatric overnight orthokeratology. SEMO 2010 – 13th Biennial Scientific Meeting, 7th Educators Meeting in Optometry, Sydney Australia. Johnson KL. Refractive indicators for stability of myopia in paediatric overnight orthokeratology. Cont Lens Anterior Eye 2010;33:279. Gifford KL. Orthokeratology and myopia control – the ROMIO study. Contact Lens Update 2016:31; www.contactlensupdate.com. Gifford KL. An update on myopia control. Contact Lens Update 2014:22; www.contactlensupdate.com. Johnson KL Allergies are on the rise: the ocular response. Optometry Pharma 2013; 34(6):9-11. Johnson KL. Bandage lenses for dry eye. Optometry Pharma 2012;33(12):8-9. Gifford P and Johnson KL. Use of contact lenses in myopia control: a case study. Contact Lens Update 2011:5; www.contactlensupdate.com. Johnson KL. The science behind new and emerging modalities to slow myopia progression. Contact Lenses – Supplement to Australian Optometry. 2011;32(10): s2-3. Johnson KL, Gifford P. Mastering the fundamentals of fitting hard lenses. Contact Lenses – Supplement to Australian Optometry. 2010;31(10): s60-61. Johnson KL. Bio-inspiration: nature shows the way. Contact Lenses – Supplement to Australian Optometry 2010;31(10):s22-4. Johnson KL. Unilateral GPC affecting OrthoK wear. Contact Lenses – Supplement to Australian Optometry 2010;31(10):s7. Johnson KL. Unexplained unilateral vision reduction corrected by RGP fitting. Australian Optometry 2010;31(5):11. Johnson KL. Bilateral recalcitrant contact lens papillary conjunctivitis in an RGP wearer. Contact Lenses – Supplement to Australian Optometry 2009;30(10):s15. Johnson KL. Unilateral mucoid epithelial tag over RGP-induced corneal dellen. Contact Lenses – Supplement to Australian Optometry 2009;30(10):s14. Johnson KL. Designing keratoconic lenses using corneal topography. Contact Lenses – Supplement to Australian Optometry 2009;30(10):s12-14. Johnson KL. No contest: time and effort invested will reap greater revenue. Practice – Supplement to Australian Optometry 2009;30(2):s4. Johnson KL. Medical treatment of cataract: a review. Optometry Pharma 2008;29(9):16-7. This one hour lecture is expanded and updated to include latest research on myopia control, including recently published atropine studies and the global myopia management attitudes and strategies survey. It also provides specific advice on soft contact lens myopia control and safety in paediatric contact lens wear. RISK / BENEFIT ANALYSIS OF CLS FOR MYOPIA CONTROL – CAN WE AFFORD TO DO NOTHING?